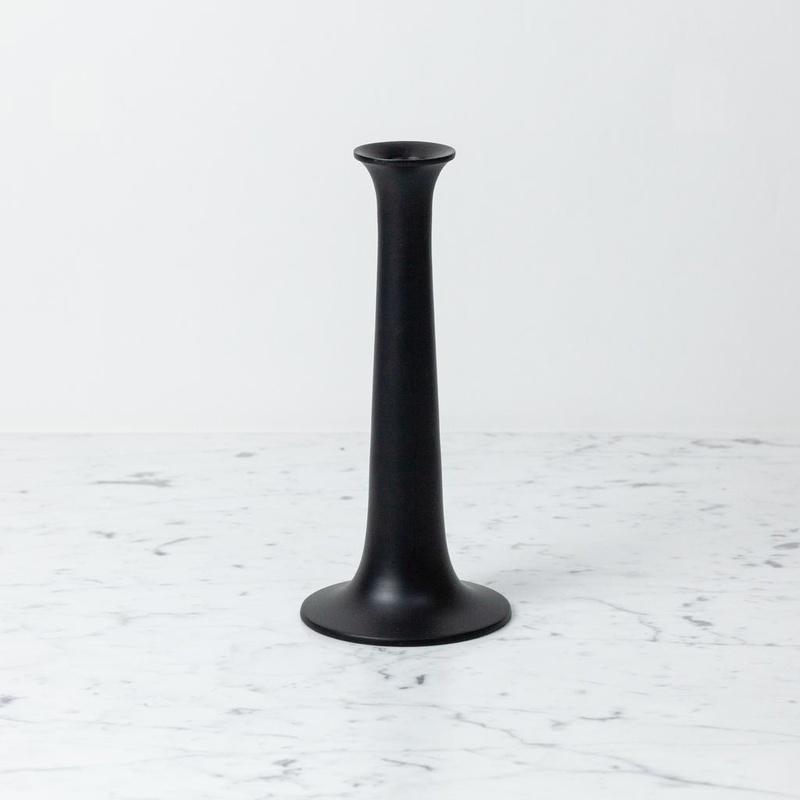 Simple Candle Holder - Large - Black - 3 1/4" x 10"
Home / Simple Candle Holder - Large - Black - 3 1/4" x 10"
We suggest...it was the effortlessly prepared host, in the dining room...with!? The Candlestick! What? NO? Ok. We suggest...it was the luxuriant bather, in the clawfoot tub...with...The Candlestick! No?? We suggest...it was the stargazers sharing a bottle of wine, on the balcony, with...The Candlestick! *checks envelope* Ah-Ha! 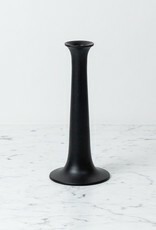 These exquisite, pleasingly hefty, black matte metal candlesticks are guilty of one thing only: being a gorgeous addition to any place improved upon by candlelight. So, any place. Looks fabulous alone or partying with its friends of all sizes and colors. Fits standard tapers (and goes great with our beeswax). 3 1/4" at the base x 10" tall.